Edited by Karmakeld at 21:03, 17 Oct 2018. I'm dedicating this tread to the research of creating dll extensions for Heroes 4. The modding community has come a long way duing the past few years, and theories about how to add new Creatures, Creature Banks, Hero Portraits etc all appear to be well researched and documented, but we still face the obstacle of no one having the knowledge of how to succesfully create jumps or make dll extensions, in order to add this new content to the game. But we're never getting any closer if we don't start looking into it. In addition to actual programming research regarding how to make dll files, I think we should gather up any useful information here, regarding hex codes, how they're called, how images are read etc, to make it easier to add and test new content. So I hereby invite modders and programmers to join the research and share your knowledge. would be simple if the procedure calls were not so close to each other. It would seem to insert one push, change the address of the procedure - and that's it. But no. There is no place for pusha. What to do? And that's what. We remove all push, mov and call for the creature from the procedure. We replace them with a bunch of nop and one call - in a place where there is no such tightness of code. In the PE headers of Windows files, there is usually free space starting at 2e0 and ending with FFF. It also can be used under the code. That is, from the old place all the code is removed, it remains only to call to a new place (for example, 300). At the new place, you need to write the same as on the old one, plus add a new push with the desired ability, change the address of the called procedure, and transfer control back to FillAbilities using ret. Let's make the earth elementals new ability - stone skin and stone gaze. Here is what you need to do. 3. As you can see, the elemental has 2 abilities - 28 (Magic Resistance) and 11 (Elemental). Let's add 2 more to it - Stone Skin (43) and Stone Gaze (42). 7. Click F9. We leave from Hiew, we launch and we look. The elemental now has 4 abilities. I sum up a little. The address is related to the game version. The addresses listed here are all in English. If you are using versions of other languages, you need to calculate the offset. Each serial number corresponds to one profession. They are unique. Defining addresses determines professional effects. I'll have to look again, but chances are it could very well be the Russian version of WoW - as it's from the russian forum. Also now I see I should probably post some screenshots as some of the code is displayed differently in the original forum post. 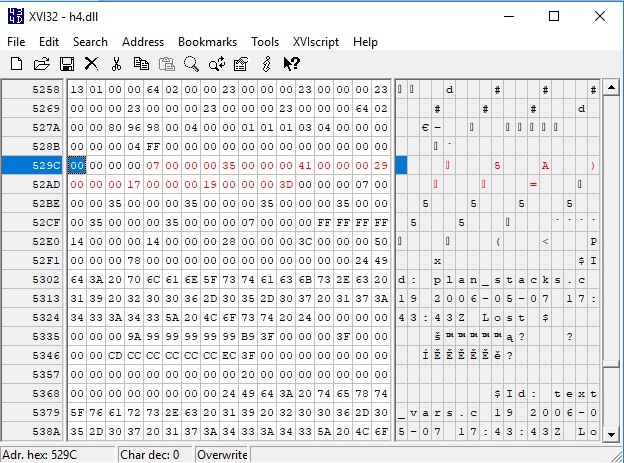 Also keep in mind that hiew seems to be a hex editor, which also has a disassembler built in, so it's just editing the exe. Still useful information though. There are some better tools. I'm just saying that's what he was using in the quote, which is not using a dll. I recommend to use patcher_x86. First, modify the executable to make it able to load dlls. Then write your own dlls to modify everything you wish. Edited by NimoStar at 01:20, 20 Oct 2018. Also gave Earth Elementals spellcasting, but that is another story - You need to give them spell points and power in creature table, then add the spells in mass_spells equilibris .exe section. It would be nice to actually research how to make new DLLs for the game, or hopw are the sections of the DLL called from the actual .exe code. When using equilibris DLLs, changing the hexes for necromancy and summoning creatures in the original .exe will have no effect. At least in the 3.55 one. I never tried to find the summoning in it.. Yes, those are the creatures hexes. i was able to change them in 3.51, guess in 3.55 is the same. But what is more interesting is, how does the .DLL know what part of the exe to replace? where is that coded? I guess a little back. People that know how to mod h3 could help with this, as there are many H3 dll mods/hacks... someone care to ask one of the experts on that? I don't see why you couldn't be the one..? But it's a good suggestion, I'll ask in the H3 forum. Learn how to reverse engineering. Well Ilive is a programmer, which one of the rest of us active here is? kffkk? I asked FrostyMuadib, a while back if he could help out, he hoped to have time in mid october, but either he forgot or he didn't have time. I'll try to mail him again. Also we had Duzeom on CH (also a programmer) but he's been absent for a while and hasn't replied my mail. Edited by RoseKavalier at 00:18, 07 Jan 2019. All you really need to do: replicate what is in that video and then heed AlexSpl's advice. If you don't want to start calculating hex offsets nonstop, use something like OllyDbg where editing is easier. 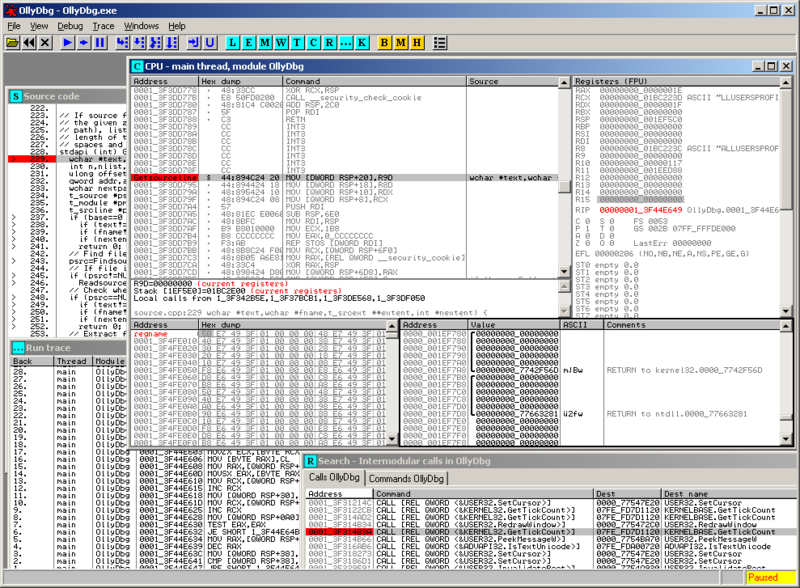 patcher_x86 handles all the dirty hex editing for you and allows you to bridge in C++ instead of Assembly. After that, read AlexSpl's tutorial (it's in Russian but auto translate does a great job of it). It's meant for heroes3 but once you start figuring out addresses in h4, you can modify things much more easily without wasting 50% of your time trying to do hex editing. Your biggest job will be figuring out offsets after this, which can be done with something like CheatEngine or something more complicated but powerful like IDA. If you don't want to start calculating hex offsets nonstop, use something like OllyDbg where editing is easier. You are saying with this, i don't have to calculate hex offsets myself? That was the main problem I had whan trying to modyfy thinhgs (for example, adding extra abilities to creatures). I could just not calculate hex offsets correctly to make the jumps, particularly because they have some weird formats like big endian, etc. A debugger like OllyDbg lets you see Assembly code, especially when you start understanding it, is infinitely easier to understand than hex dump. Sure it takes a bit of time to get used to but reversing without a debugger and/or disassembler is just a big waste of time. Creating the initial link to your DLL is easier with OllyDbg than with just any hex editor because you only need to write what you want without calculating offsets by hand. It's exactly what's in the video linked. Once your DLL is linked to the program, you will never again need to hex edit, everything will be done through the DLL itself. All you will require is to figure out for example, which function calculates hero movement on a given day and then you can modify any part of it easily. It can be as simple as adding +1 movement or rewriting the entire function yourself. Same thing with abilities and pretty much everything else. Edited by NimoStar at 22:58, 07 Jan 2019. The part about abilities in H4 is that the list is not a programmable set of instructions. Those aren't instructions by themselves, its just a dataset for the part of the code which is the implementation. We don't need to change the implementation, at least that wasn't the idea now (anyways the abilities implemented themselves are quite adequate), just that creatures are "Hardcoded" to have a certain number of abilities - for example, just 1 for the minotaur - and there is no space in the code to put more. Reading assembly code is not going to change that. Therefore what equi team had done is: Take an "unused" chunk of space in h4 .exe code; replace the part on the Orc on the original list for an instruction to jump to that offset; and put after the altered part an instruction to jump back (tyhe formerly "blank" space has more hexes to write a longer list of abilities than the original). The only "programming" bits are the instruction which is a single hex, so seeing it in assembly instead of in hexadecimal is not going to make a difference in that. Calculating the offsets is the hard part to make the jumps go to the exact hex needed. I am not saying those tools aren't useful, just that they don't seem to do that, do they?